As an author, I find that public events like book signings, readings and convention appearances are not only a lot of fun, but an important way to connect with your current audience and broaden your reach to new readers. 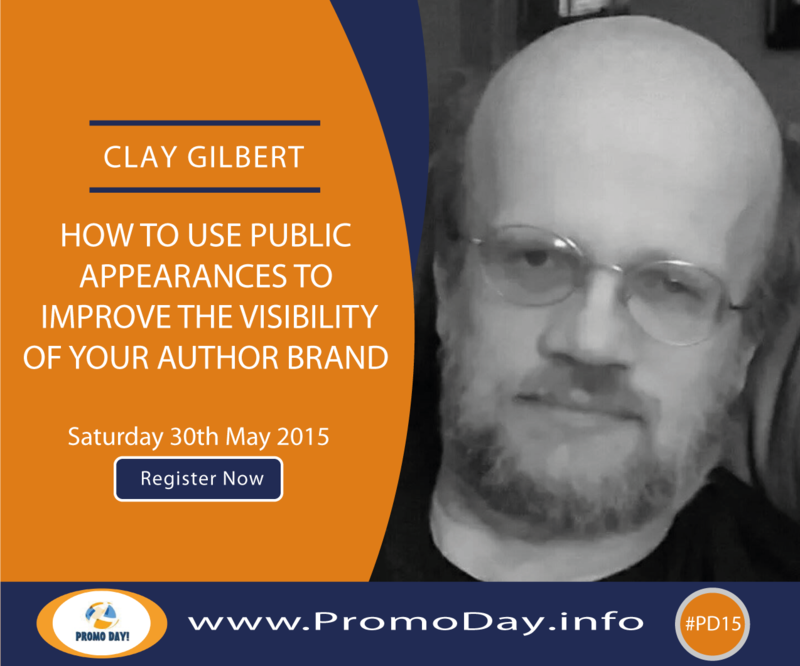 Join me as I share my experiences and offer ways you can use public appearances to improve the visibility of your brand, to gain new readers, and have fun doing it! Clay Gilbert has been hearing voices in his head and trying his best to transcribe them to paper since around the age of four. He published his first short story, "The Computer Conspiracy", in Scholastic magazine at the age of four. Many years later, and after further transmissions from the beyond, he is also the author of Annah: Children of Evohe Book One and Dark Road to Paradise: Tales of the Night - Kind BookOne, both published by PDMI Publishing, LLC. He also serves as PDMI's Chief Editor, and has taught English Composition, Business Writing, and Literature onthe college level.